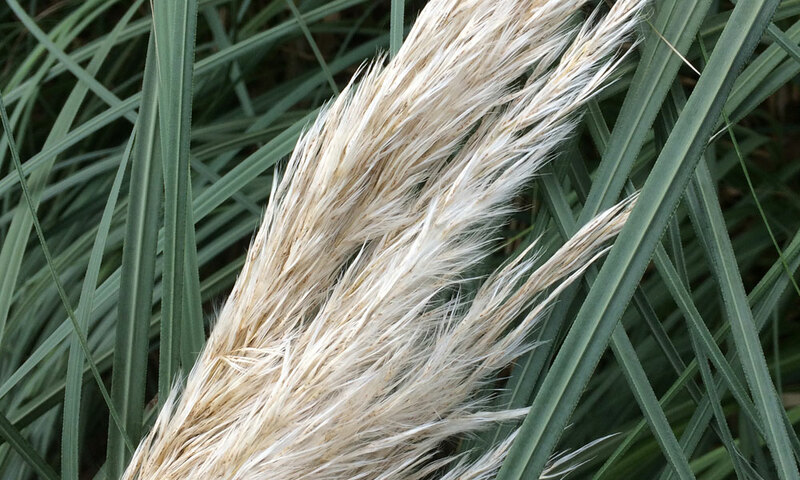 The Pampas Grass, Cortaderia selloana, is a large, hardy evergreen grass with grey-white panicles (flowering clusters) – excellent for drying – in autumn and early winter. There is a huge range of varieties, growing from around a metre up to 2.5 metres; some of these have pink panicles. 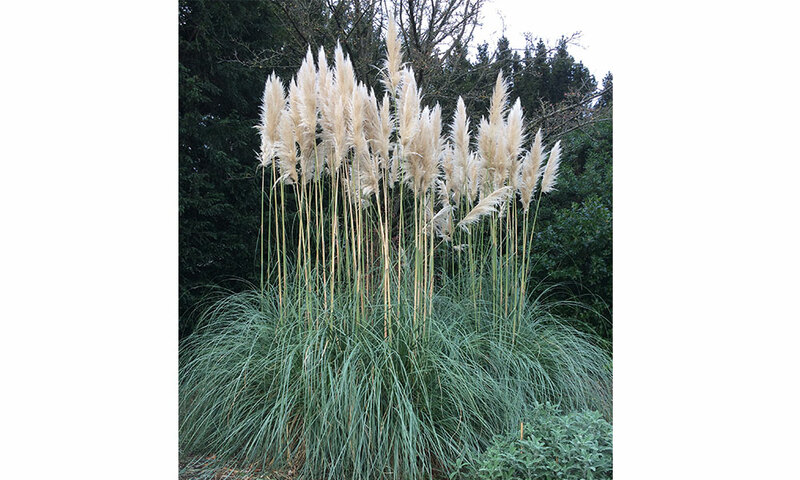 Pampas grass prefers full sun but is happy in a sheltered or exposed position – the former will allow the flowering heads to last longer. A moist but not water-logged soil is best; the bigger varieties need plenty of space. Cut back old flower stems in the winter. In the Parks, the foliage also gets cut back hard every couple of years in late winter to stop the plants becoming too congested. A member of the Poaceae grass family, it can be seen growing in the Hayrick Border in the University Parks. Sow seed or divide plants in the spring.